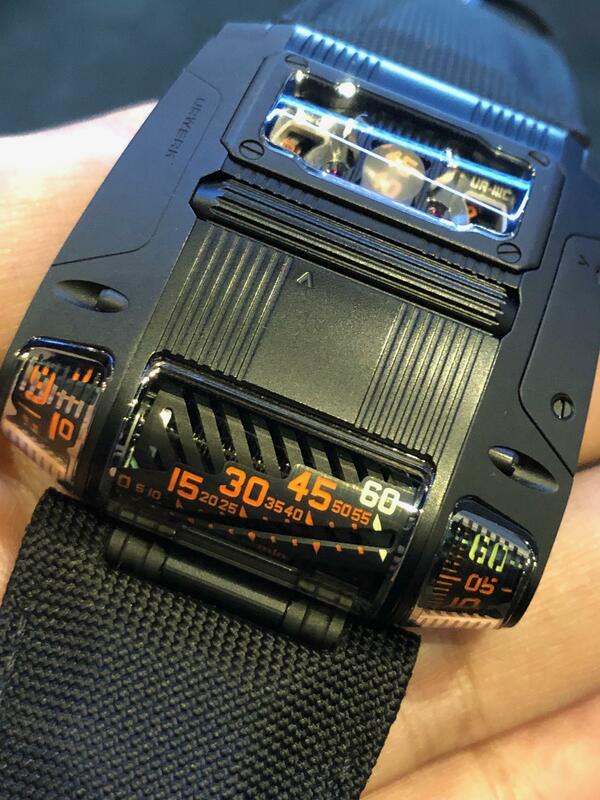 At Urwerk, we have 3 novelties. We begin with the UR-111 Black. A new color way in black PVD over SS with orange and yellow SuperLuminova. Limited to 25 a year. CHF 130,000. Next is an interesting collaboration with the artist Emmanuel Esposito who make art knifes, from Torino Italy. 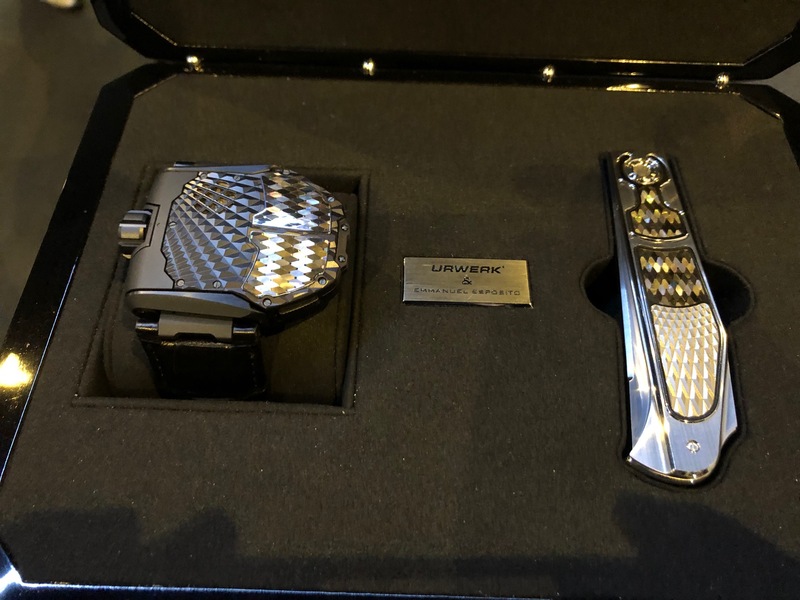 Knives and watches. Emmanuel’s special technique of mosaic pearl to create an effect like fish scales. The collaboration set is with the UR-T8 Colibri. The watch is in DLC coated SS and the knife in two different SS. Piece Unique. Already sold. And the UR-T8 Skull. 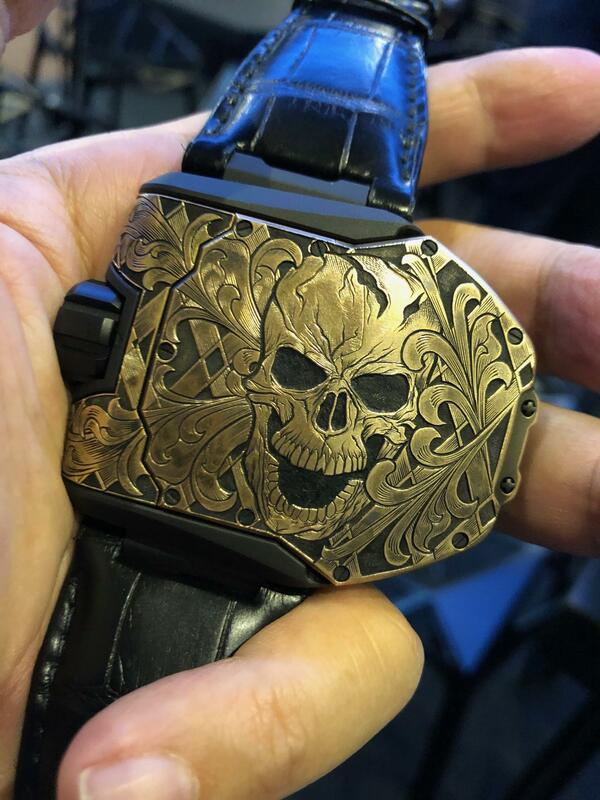 This is a collaboration with Johnny Dowell to engrave the watch. Johnny normally works with guns and began to do engraving with JlC. The skull is engraved on a bronze place placed over the reverse side.